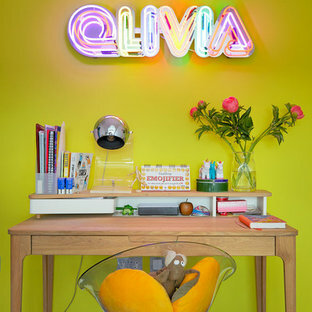 The Brief: To create a space in which any little girl would feel like a princess. 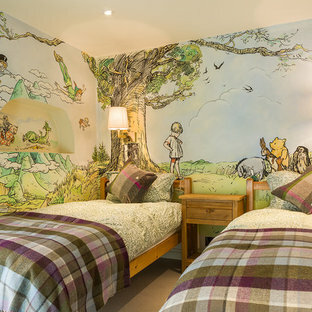 The day bed doubles up as a sofa for friends to sit and play, now and when they are older. The tent provides a wonderful area for make believe and a fantastic place to hide the odd teddy. 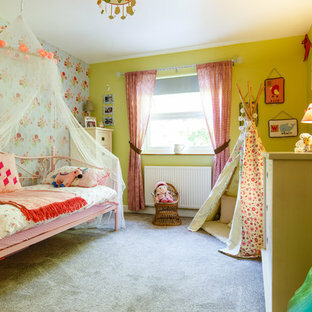 The canopy over the bed turns this bedroom into a magical place to be, whilst the cream furniture adds to the sense of calm and beauty to this delicate little girls bedroom. 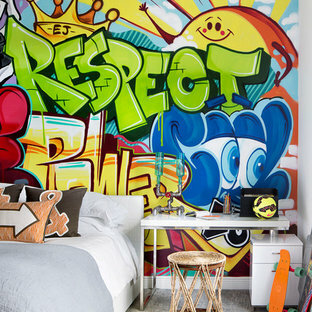 Finding high-quality and affordable teen room decorating ideas can be a challenge, but Oopsy Daisy is here to help! 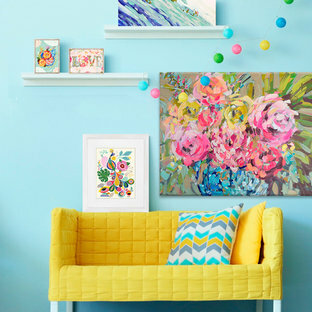 Whether you seek teen girl room décor or teen boy room décor, our collection of wall art for teens has been carefully curated to offer a large variety of designs. Whether you’re a prep, punk, or anything else in between, Oopsy Daisy's collection of teen wall art will allow you to decorate your walls without worry! This forever home, perfect for entertaining and designed with a place for everything, is a contemporary residence that exudes warmth, functional style, and lifestyle personalization for a family of five. Our busy lawyer couple, with three close-knit children, had recently purchased a home that was modern on the outside, but dated on the inside. They loved the feel, but knew it needed a major overhaul. Being incredibly busy and having never taken on a renovation of this scale, they knew they needed help to make this space their own. Upon a previous client referral, they called on Pulp to make their dreams a reality. Then ensued a down to the studs renovation, moving walls and some stairs, resulting in dramatic results. Beth and Carolina layered in warmth and style throughout, striking a hard-to-achieve balance of livable and contemporary. The result is a well-lived in and stylish home designed for every member of the family, where memories are made daily. 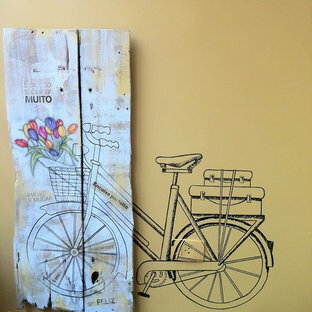 This mural starts on a piece of demolished wood, finishing on a wall! By Flegel's Construction Co., Inc.
THEME The theme in this space is defined by the design and flow of the rest of this beautiful contemporary home. 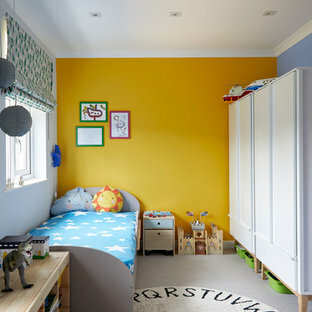 They needed the space to blend with the home while still providing the youngest family members with all the enjoyment of a dedicated play room. FOCUS The focus of this space changes with the configuration of the modular pieces around the room. One configuration could put focus on the television for movie night, another could create a stage for a musical performance, while another could close off the kids play area all together keeping the focus on adult conversation. Every configuration provides focus on the activity or plans for that moment. STORAGE Each of the modular pieces includes multiple storage options. The multimedia section ensures that all electronic equipment and remote devices have a dedicated home no matter where the section is placed. 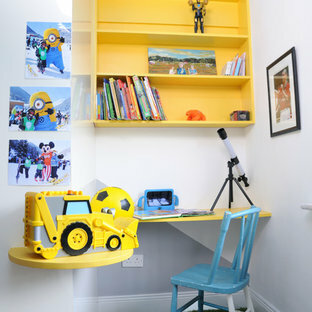 The large dedicated storage unit provides open blocks that can be filled with baskets of toys or books while creating the perfect wall in any configuration. The magnetic section allows for display of artwork or calendars while the lower box provides closed storage and a cushioned seating area. GROWTH These modular pieces will always be a useful and functional addition to this space providing the family with endless configuration options ensuring that the space will mature with the family. SAFETY Safety is always a concern and modular pieces require added attention to stability and security to ensure that they will provide the desired flexible functionality along with the safety of built in elements. Custom made brackets lock the sections together at multiple points to keep them linked once placed and the rolling castors under each section also lock into place to ensure that they will not continue to move across the floor.